Your day trip starts with pickup at your Hobart accommodation by private vehicle for the drive east, heading over the Tasman Bridge and past Hobart International Airport to the hamlet of Sorell. Stop in Orford for a break, and admire a view of Maria Island. Continue driving, stopping along the way at Spiky Bridge and Spiky Lookout for photo ops, and then arrive in Swansea for lunch (own expense) before proceeding to Freycinet National Park. 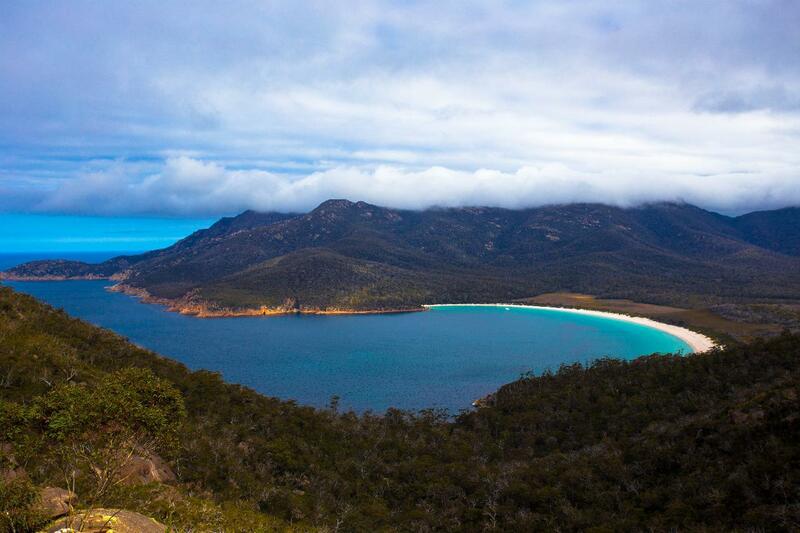 Here, you can take a 2-hour round-trip walk to the Wineglass Bay Lookout; the walk is considered moderate to hard. Alternatively, your driver-guide can take you to Cape Tourville, also inside the park, to enjoy an easy 20-minute walk (about 600 meters). Then sit back and relax on the return drive to your Hobart accommodation, where your day trip ends.